Tanya Newton (Majzoub) is a Traditional Chinese Medicine practitioner, providing both acupuncture and Chinese Herbal Medicine. With a longstanding keen interest in health and healing, Tanya found that the holistic philosophy of Traditional Chinese Medicine (TCM) provides a wonderful system for assessing and optimizing health and vitality. She believes that the physical, mental and emotional aspects of a person all need to be in balance for optimum health and well-being. Diagnosis according to TCM principles takes all aspects of each individual client into consideration. 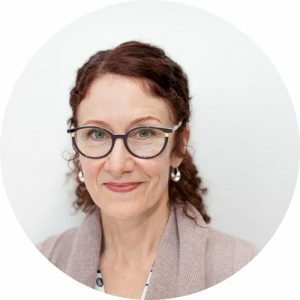 Tanya has been providing acupuncture and Chinese herbal medicine services at the Wholistic Medical Centre in Surry Hills Sydney since 1998, and enjoys working with their team of skilled and experienced practitioners. She will recommend using either acupuncture and/or Chinese herbal medicine according to your needs and her experience of what will work best for your condition. Your diet and lifestyle will also be considered and advice on these may be given. Tanya has extensive experience with a wide variety of both acute and chronic conditions. She has a special interest in all aspects of women’s health. Tanya graduated from the Sydney Institute of Traditional Chinese Medicine in 1994, which included 3 months training at the Red Cross Hospital in Hangzhou China. Since then she has continued to develop her skills with acupuncture and Chinese herbal medicine in Sydney. She has been in continuous practice since 1994 other than a short break to have her child. Fully committed to providing the best care for her clients, Tanya has trained with a leading TCM liver specialist in Shanghai China and completed a Masters degree in TCM at the University of Western Sydney in 2008. She continues to update and expand her knowledge by regularly attending post-graduate seminars and courses. Tanya is a member of the Australian Acupuncture and Chinese Medicine Association (AACMA) and is a registered acupuncturist and Chinese herbalist with the Chinese Medicine Board of Australia and AHPRA. Post-graduate studies in liver disease 1996 – Shanghai China. 4 year Diploma of Traditional Chinese Medicine 1994 – Sydney Institute of Traditional Chinese Medicine. Clinical training at Red Cross Hospital 1994 – Hangzhou China. When she’s not working Tanya loves bushwalking, bike-riding, cooking and skiing whenever she can.